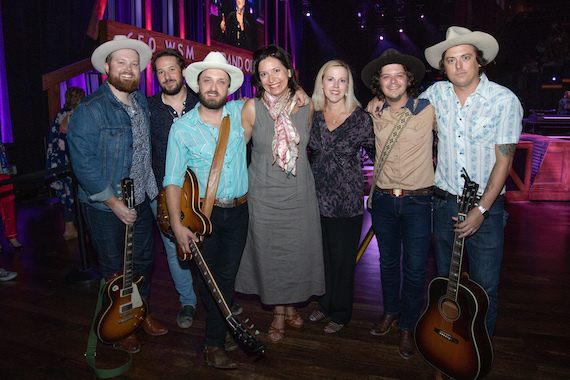 The Wild Feathers connected with their country rock roots this weekend in their debut performance at the Grand Ole Opry on Saturday night (7/14). The band brought the track “Wildfire” to the stage along with “Stand By You.” Fans can check out more content from the milestone-making night in their upcoming “My Opry Debut” piece, coming soon to the Opry’s official YouTube channel. Country music chart-topper Granger Smith’s country boy alter-ego Earl Dibbles Jr. is conquering new territory as he announced details for his first-ever book, If You’re City, If You’re Country. The book will be released on Aug. 21. 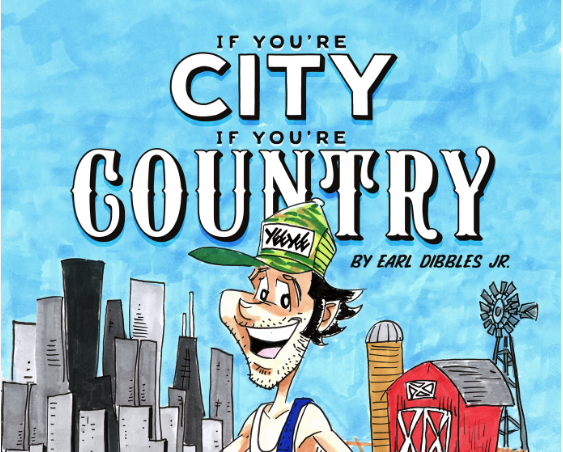 The illustrated paper-back is a collection of comedic anecdotes comparing and contrasting city life and country life as narrated through a cartoon Earl Dibbles Jr. Included with the book is a 5-song EP of fan-favorite Earl Dibbles Jr. tracks. Beginning now, fans can pre-order If You’re City, If You’re Country on Amazon. BMG has inked a partnership with television music series Live From Daryl’s House. The agreement includes worldwide rights to the complete 82-episode collection filmed from 2007-2016. The show’s production, which is slated to begin this fall, is to be executive produced by Good Cop Bad Cop Productions’ Daryl Hall and Jonathan Wolfson, and Joe Thomas and Bob Frank for BMG. Sound Off Productions’ Domenic Cotter will continue as the show’s producer. BMG administers a considerable portion of the legendary Daryl Hall & John Oates publishing catalogue. Recently, BMG released the duo’s first new single, recorded with Train, in over a decade, “Philly Forget Me Not”. Created by Hall, Live From Daryl’s House began as a web series in late 2007. Filmed on location and at Hall’s former home in Millerton, New York and current venue Daryl’s House in Pawling, New York, the structure of the show evolved over the years before formalizing the format viewers have come to love featuring candid interviews, cooking segments, and Hall collaborating with guest artists – an eclectic mix of both established and rising musicians. The show aired on MTV Live until 2017. Past episodes have featured a mix of well-known performers including Smokey Robinson, Nick Lowe, K.T. Tunstall, Todd Rundgren, Dave Stewart, Toots and the Maytals, Joe Walsh, Sammy Hagar, Aaron Neville, alongside then-newcomers Fitz and the Tantrums, Mayer Hawthorne, Jason Mraz, Gavin DeGraw, Amos Lee, Brett Dennen, Elle King, Aloe Blacc, and many, many more.